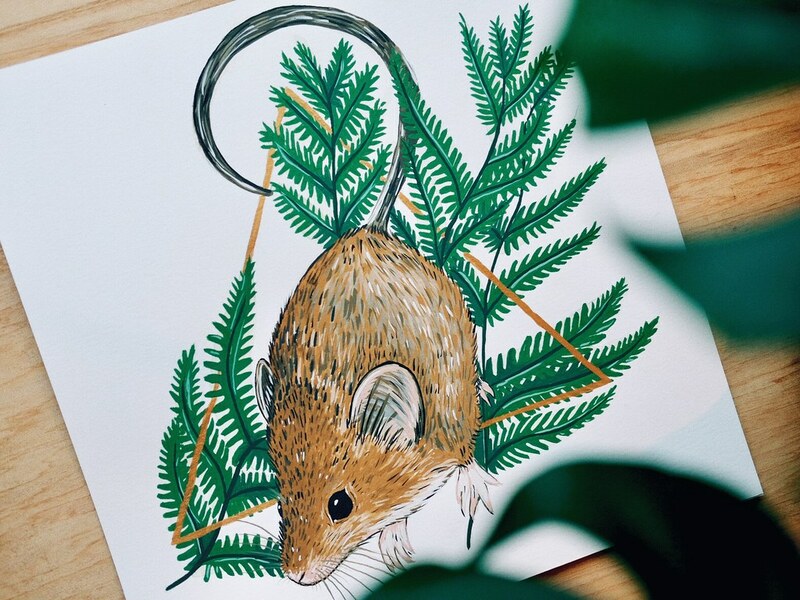 A few illustrations from the last month; This little guy is something I just did for myself, finished yesterday. Kind of just want to use gold gouache on everything now, it looks so good! Tempting to make a series of these with splashes of gold in all of them. A made up lizard/gecko species, painted for a client who is having it printed on to plates and hung on his kitchen wall. Hopefully I'll have a photo of the finished product soon! Not something I would usually draw, but the colour combination was fun and it was interesting to paint something that wasn't primarily fur/hair. 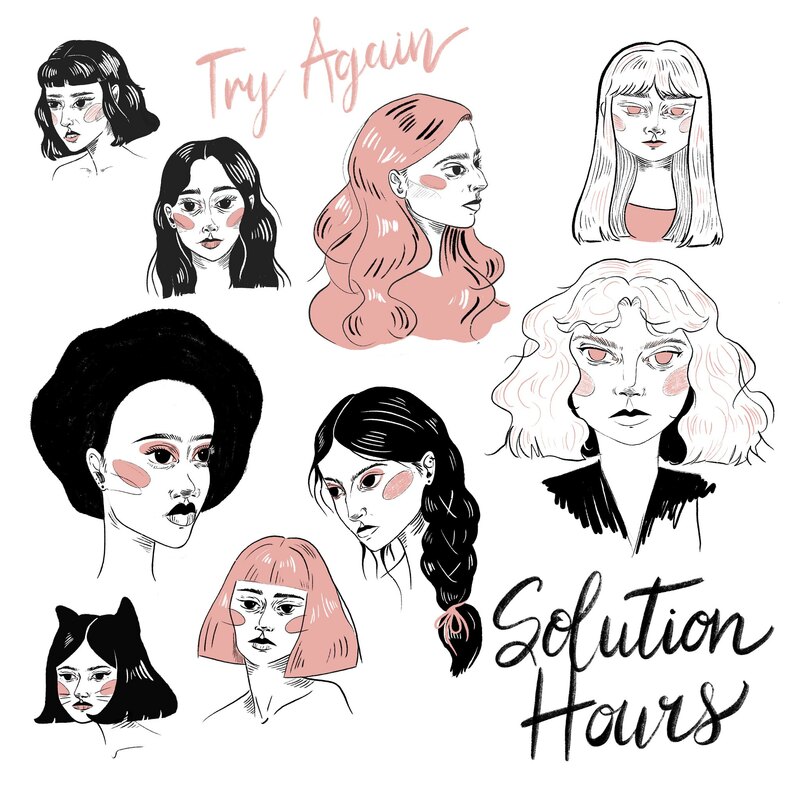 And this was a fun commission from the band Solution Hours for their EP Try Again. They wanted some of my classic "girls" in black and pink - just my cup of tea! They were drawn on my iPad using procreate. Can't wait to see them in action.